I'm off to go see Eddie Ross!!! 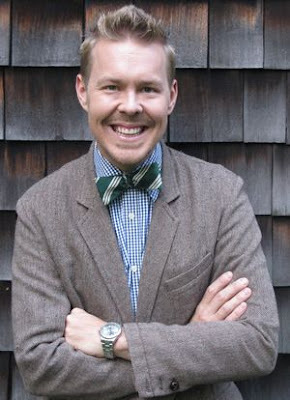 I secretly hope he'll be wearing a bow tie. I also hope I am not a complete dork. Tell ya about it tomorrow! Every year, during the first hot days of summer, I start to crave a good ol' fashioned popsicle! 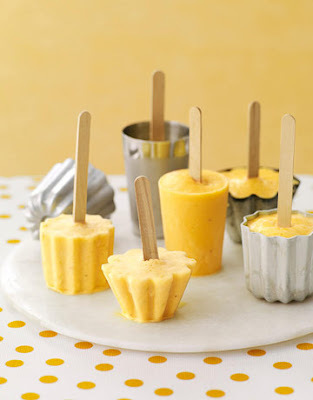 We used to make our own a lot when I was a kid, using juice poured into a plastic mold. No ice cream trucks going by our house in the country :). 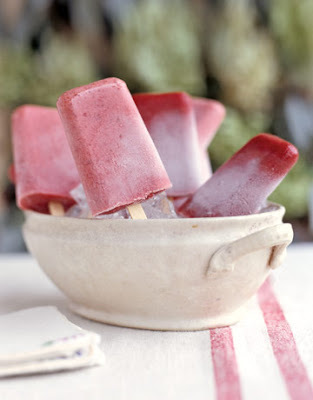 And this year I wanted to have the kiddos experience a fun, summertime treat, that's also healthy too! I got these cute popsicle molds at Target a few days ago. So far we've done orange juice or pink lemonade with sliced fruits. Love the idea of placing them in a big ol' bowl filled with ice for the neighborhood kids to help themselves to a treat! Aren't these molds fun? You can get creative and use so many different things! 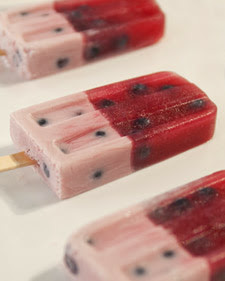 I love the idea of making a layered popsicle, with different juices, purees, and yogurts & fruits for a healthy snack. 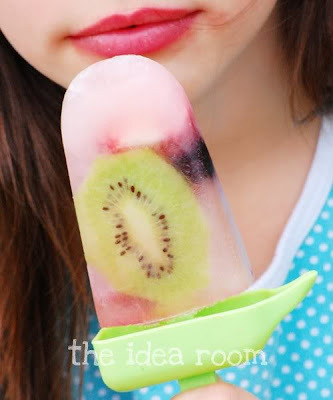 And if you're looking for a simple, lovely treat, check out The Idea Room for a Fresh Fruit Popsicles "recipe". I'll be making these next! Enjoy this Summer day, & stay cool!! Have you heard? Eddie Ross is coming to Chicago! 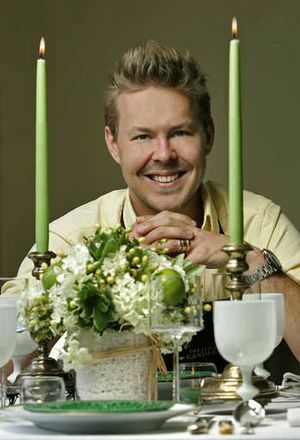 He's holding an event called "Creating a WOW Party"
And since Eddie can decorate, entertain, and flea market like nobody's business, this is going to be one event I sure don't want to miss!! "Hello, Chicago! On Thursday, June 17th, we're throwing the kind of party that will help you throw better parties! 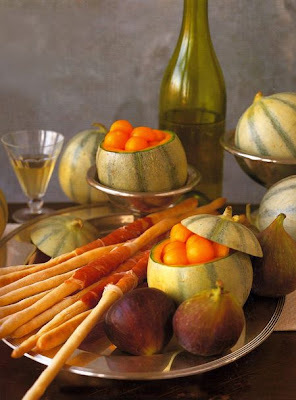 I'm talking time-saving tricks and insider tips for easy entertaining with style. Creating the WOW Party, we're calling it, (without work). These days, I think we're all staying in a little more than we used to, preferring casual gatherings at home that are a lot easier on the wallet than fancy evenings out. But when it comes to cocktail parties at home, hors d'oeuvres needn't be limited to store-bought hummus and pita, chips and and a chunky salsa. 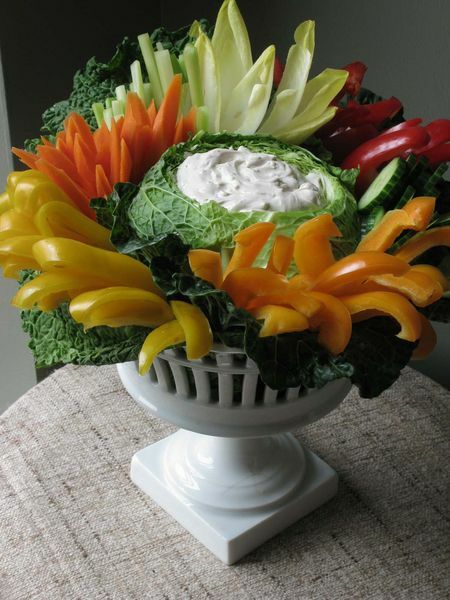 Now don't get me wrong: As an ex-caterer, I'm all for cutting corners if it saves time and money, but the critical part of the equation—the WOW factor everyone's always after—is presentation, presentation, presentation. It's the golden ticket, the insider secret all the pros know but never tell you. Well, not quite now, but soon! The 17th of June at 7 pm, to be precise, at the historic Dunham Woods Riding Club in Wayne, Illinois. Joining me will be the talented Debra Phillips, owner of Scentimental Gardens in Geneva, a fantastic home and garden store full of beautiful, one-of-a-kind antiques." If you live anywhere near the Chicagoland area, come & meet Eddie Ross & learn some fun tips for entertaining WithOut Work, but with plenty of style! Check this out for more information! I'm going to be there! Let me know, I'd love to meet you there!! Need an easy way to get your home straightened up in a jiffy? Company coming over in a minute or there's just no time in your day? Here are some easy tips! 1) Have a nice, clean entrance! Clear the entry table and floor area from all clutter. Put bills & mail away, shoes in the closet, and straighten the door mat/rug. 2) Wipe down kitchen counters and sink. No time to do the dishes? Pile them in the sink and place a pretty dishtowel on top to hide the mess! 3) Wipe off kitchen table and push in the chairs. 4) Fluff couch cushions and pillows. Your living room will instantly look nice & neat! 5) Straighten up the coffee table. Stack magazines neatly, plop remotes in a basket or on a tray, and take any stray snack dishes to the kitchen sink. 6) Place a fresh, clean hand towel in the bathroom, and wipe down the sink. 7) Grab a big basket and place all of the stuff left on the floor (toys, a book, slippers, whatever your family leaves all over!) inside. Put in a closet and be sure to have the family put those items away later in that same day! 8) Open your curtains and blinds and let in the light. If it's a nice day then open a window for a breeze and to hear the sounds of nature. This looks beautiful and makes your rooms seem brighter and bigger too! 9) Turn on a lamp or three for a nice, warm, welcoming glow! 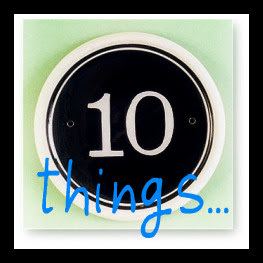 10) Close doors to untidy areas, light a pretty candle, and greet those at the door with a smile! A Welcoming Home Begins With A Welcoming Heart! This post brought to you by our sponsor Red Letter Words...faith inspired art.